450T/D high strength corrugated paper making line includes waste paper pulping line and corrugated paper production line, Jiang xi Yudu Zhengyi Paper Mill ordered paper pulp machine for their new 450t/d corrugated paper making line. This is the third time that we cooperate with Jiang xi Yudu Zhengyi Paper Mill, they have ordered Chain conveyor, Drum pulper and screening equipment, this time they ordered High density cleaner, Light impurity separator, Drum pulper feed hopper, drive part, etc. In this pulping process capacity is big so some machines need to be used in parallel, for example need two or three High density cleaner to be used in parallel, and the screening equipment divide into 1st stage, 2st stage, 3st stage fine screening, to improve the rate of good pulp. The Light impurity separator is used in coarse screening section behind M.C. 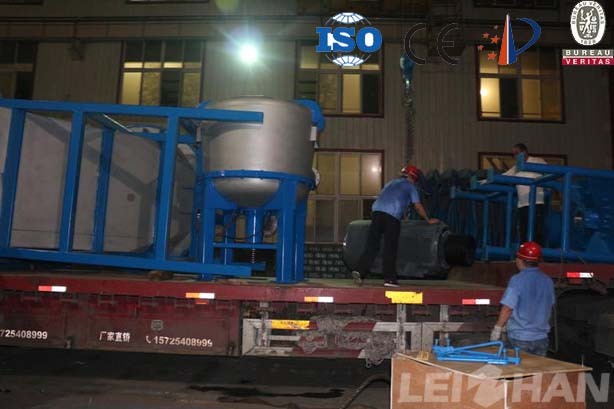 coarse pressure screen, the efficient of screening and impurity separation is high.